We are what we eat, runs the old cliché. But maybe we are also the sum of our tastes. We often wear our cultural tastes like a badge: we like opera or contemporary dance or we only love post-dramatic theatre and wouldn’t be seen dead at the circus. But I believe we can escape that prison of taste; those refusing to venture beyond the culture they grew up with will miss out. I have a friend who didn’t step inside a theatre until he was 25 and it wasn’t until turning 30 that he saw a Shakespeare play, thinking it wasn’t for people like him. Now you would think that he had been born with Shakespeare stamped through him like a stick of rock. He owns Shakespeare. At the end of a slack first week of January, I needed to find something to review. 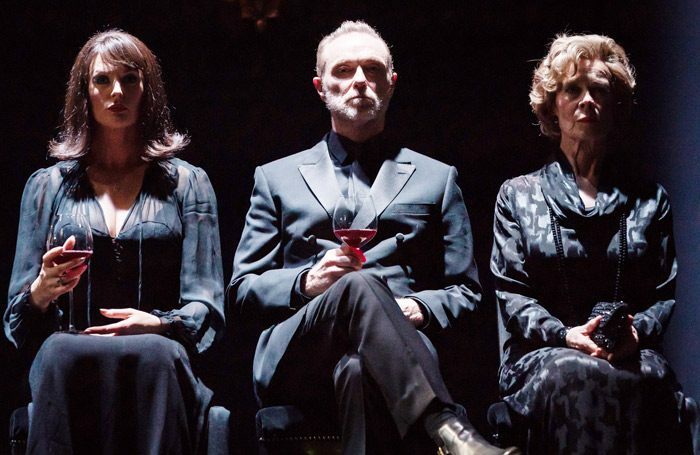 With a little reluctance, I trotted along to see Pinter Five and Six. I admire Pinter and love a few of his plays – A Kind of Alaska and Betrayal in particular – but I am not sure I would choose to see five Pinter plays in a day by choice any more than I’d choose to have five plates of sardines. But the lack of choice turned to my benefit: I had a very good time. I love it when I’m wrong and a dreaded theatre trip instead delights. I am now actively going to choose to see Pinter Seven comprising A Slight Ache and The Dumb Waiter. Unlike other theatregoers, critics can’t always choose what we see, although we can try to curate what we cover to some degree. But it is good for us to get outside our comfort zone and expand our theatrical vocabularies. Despite the sheer volume of theatre, the dwindling review space means that a very narrow band of work is covered. New companies increasingly lack attention, which is why I plan to be at the Vault Festival in London a great deal over the coming weeks. As a critic, there is nothing scarier than coming out of a show asking yourself: “What on earth was that?” But there is nothing more exhilarating too. The shock of the new can be extra shocking when faced with a deadline and you can’t make head nor tail of what you’ve seen, or relate it to anything else you’ve seen before. But the terror subsides when you remember that you are not doing an exam but simply responding with your heart and head to the experience. When theatre uses a vocabulary we don’t understand, or that we are not familiar with, we just have to keep returning until we start to grasp it. If you do, there can be breakthrough moments of understanding just like being in a foreign country and your rudimentary lessons allow you to grasp the gist for the first time. You sit listening to conversations around you feeling perplexed and excluded, but very gradually the odd word emerges from the babble and you start to realise that sense is forming. It takes patience and hard work. But what happens when you keep returning to see work by the same company and find you can’t get on with it? That your aesthetic and the company’s are at odds with each other? That you’re not misunderstanding what they are trying to do but you simply don’t enjoy it? I recently saw a piece of work by a company whose work is very popular, and which I have been trying to like more than I do over its last three shows. The company is doing very well without my approval, and if there is any failure involved it is on my part. But the question is whether I should persevere or simply abandon seeing its work? If I were a regular theatregoer, I would simply cut my losses and find another company whose work I wanted to follow and which I liked. But I feel I have a duty to plough on and keep covering the company because, who knows, maybe one day I will learn to appreciate it – in the same way I hated yoghurt as a child and now love it.